No more tears! 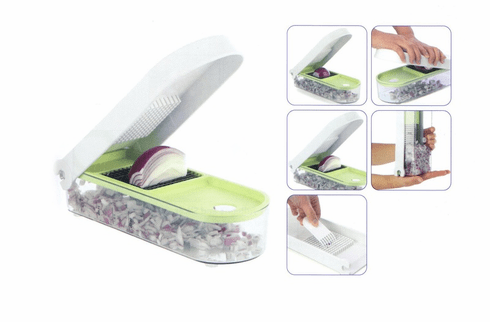 Reduce contact with onions and potent eye-burning vapors using the Progressive International Onion Chopper. Creates perfectly chopped onions, tomatoes and peppers for salsa, carrots for fried rice or stir-fry or eggs for egg salad. Progressive Onion Chopper dices in one swift motion. Includes measurements up to 2 cups (473 ml) on side of clear container. Non-skid feet hold Onion Chopper in place while using.